In an effort to keep your family healthy, you try your best to keep a clean home. But in order to stave off symptoms such as sniffling, sneezing, and itchy eyes, you may need to do more than dust and scrub surfaces. According to the experts at Broan, homeowners should also remember to combat airborne dangers that could pose a health threat. In a recent poll, the ventilation product manufacturer found that although most homeowners are aware that unhealthy indoor air can cause health problems, many do not recognize the signs of poor indoor air quality in their home. "We spend up to 90 percent of our time indoors; our home should be our sanctuary. 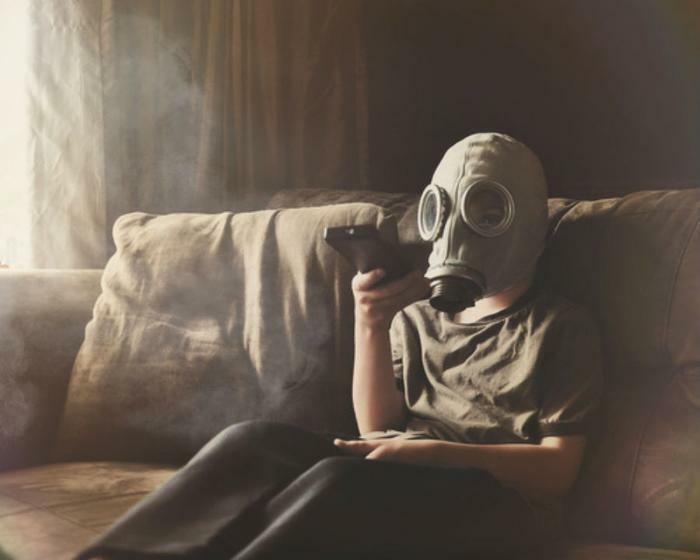 Yet too often, homeowners overlook the warning signs of poor indoor air quality, attributing it instead to everything from asthma to the common cold," said Michelle Gross, senior global director of channel marketing, services, and digital. A few signs that the air in your home may not be as clean as it could be include: mold, chemical smells, foggy windows and mirrors, and lingering cooking smells. Contributors to poor indoor air quality include using a fireplace, running central heating and cooling systems, cooking often, or lighting a candle. Not having a bathroom fan or range hood can also negatively affect indoor air quality, says Broan. Good air flow is vital to achieving and maintaining healthy air quality, says home improvement expert Danny Lipford. "Bath fans and range hoods are the easiest ways to drastically improve indoor air quality," he said. “The key is to use them every time you shower or cook, leave them on for 10 minutes after you've finished, and replace them every 10 years." Install a fan or hood. For optimal ventilation, your kitchen should have a range hood and your bathroom should have an appropriately-sized fan. Be sure to use fans every time after cooking and showering. Follow the 10-minute rule. Run your range hood for at least 10 minutes after cooking to eliminate lingering smells and particulates. Do the same after showering to remove humidity. Clean it monthly. For maximum effectiveness, clean range hoods and bathroom fans once a month. Replace as needed. Most range hoods have a lengthy lifespan of around 10-12 years, but be sure to change bathroom fans when they no longer prevent your mirror from fogging. Clean regularly. Wash linens frequently in hot water, vacuum regularly (making sure not to forget doormats), and remove shoes upon entering the home.